Get to know the dancers of DCCD, their inspirations, and where their training began. We would like to introduce Kelsey Rohr! 1. How long have you been dancing? 2. Why did you start dancing? As a three year old, I started ballet because I needed to be a fairy princess. But around ten years old, Richmond Ballet’s outreach program, Minds in Motion, came and taught a different, pedestrian-based movement style to my fourth grade class, and I fell in love. After the first performance with about 1,000 students dancing together on stage, the experience was enough to know that I had to keep performing and really begin to study dance. 3. Who or what is your biggest dancing inspiration? There’s a moment when the music turns on and you can feel everyone in the room start to listen and groove. That high when everything comes together—the music, the movement, the energy—is what keeps me inspired. 4. What is your proudest dance achievement so far? I am proud and so grateful to be where I’m at right now as a company member with Dark Circles and a dance major at SMU (Southern Methodist University). 5. Tell us about your hobbies outside of dance. I like to travel, eat good food, and hang out with friends. 6. Choose one word to describe your dancing. One of my mentors once told me that if there’s one thing you cannot be as a dancer, it’s ungenerous. So I try to be as generous as I can. 7. What is your favorite dance quote? DCCD will be performing March 21-23 at the REVERBDance Festival in New York City. The performance is located at the Baruch’s Nagelberg Theater (55 Lexington Ave., New York, NY 10010 // entrance on E. 25th St. between Lexington and 3rd ave.) You can still buy tickets! 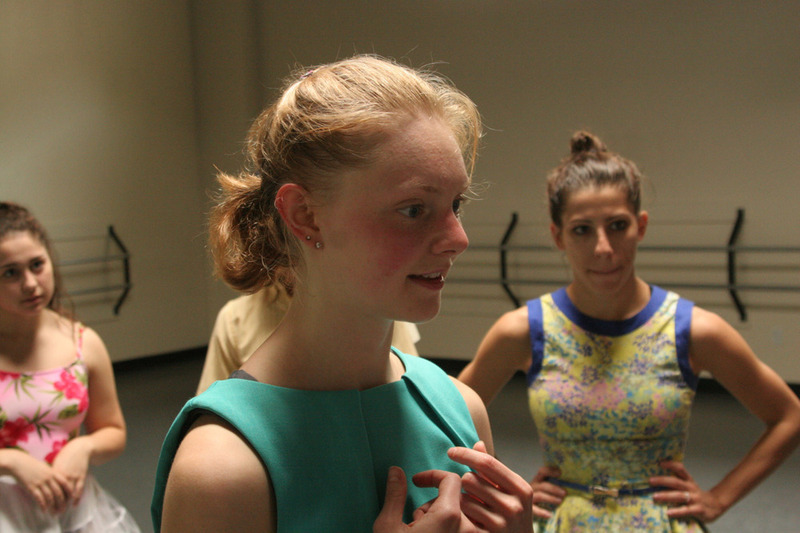 Get to know some of the dancers at DCCD, their inspiration, and where their training started! We would like to introduce Jennifer Mabus! 1. How long have you been dancing for? I have been dancing a long time! I actually can’t remember a time of my life without dance. I started dancing because I was so shy as a little girl that my mom thought dance lessons would make me more outgoing. Instead, I found my voice in dance. I was hooked from my very first recital in a white tutu. I loved the fantasy and magic. Still do. Life happening around me- my family, friends, fellow dancers, strangers, beautiful places. The more fully we are human beings, the better artists we will be. I’ve been lucky in my career but, honestly my proudest achievement is that I’m still growing and being challenged as a performing artist. I get to work with such beautiful people! Well, I’m currently a grad student and teacher, so I don’t have too much time for hobbies. However, my yoga practice keeps me sane and I’m a little addicted to Argentine tango! 6. Choose one word to describe your dancing techniques. White Day is premiering tomorrow! There is still time to buy tickets to the performance. After the performance tomorrow, there will be a “meet and greet” along with a Q&A. Join us for refreshments and take the chance to get to know some of the dancers at DCCD! Get to know some of the dancers, their inspiration, and where their training started in preparation for White Day! The first dancer we would like to introduce is Sarah Hammonds! I began dancing at the age of eight at Ozsoy School of Ballet in Duncanville, TX, where I trained until my senior year in high school. I began dancing because I was curious. I would see the Nutcracker every Christmas with my family, and I wanted to try it. Little did I know that I would be earning a degree in dance several years later! I think my inspiration comes from other artists and dancers. Seeing the ways that different dancer’s interpret movement has always been interesting to me. It offers a way for me to learn from other people. The audience members also serve as inspiration for me. Hearing how dancing affects others is what encourages me to keep growing and maturing throughout my career. There are several moments that I am very proud of in my career thus far. Earning my Bachelors of Fine Arts this upcoming May is certainly an achievement, but it’s the little things that I find to be most rewarding. My choreography was recently nominated to represent my University in the national choreography festival, American College Dance Festival this March. I am also nominated for an Excellence in Service Award for the College of Fine Arts and Mass Communication at my University. Outside of dance I definitely put family first. I realize they are the reason I am able to do what I love. I also like being heavily involved at my University. I have come to really appreciate Sam Houston State, and I only want to give back. I also teach creative movement classes for the children of Huntsville.